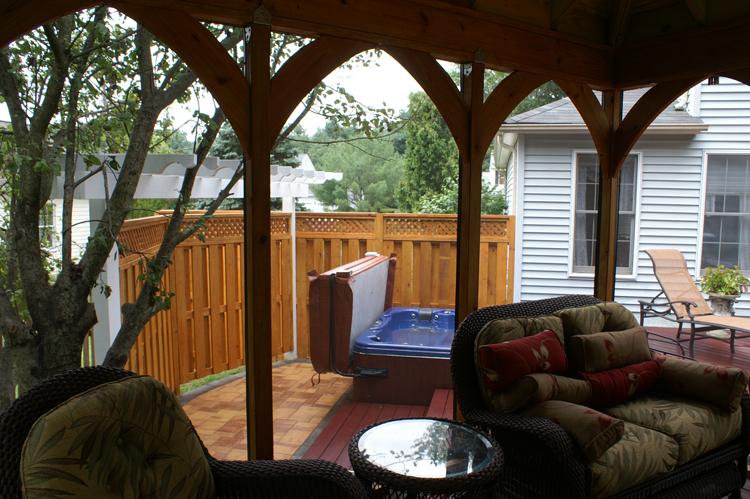 View from inside the detached cabana style gazebo by Archadeck of Maryland, truly the heart of this versatile outdoor space. 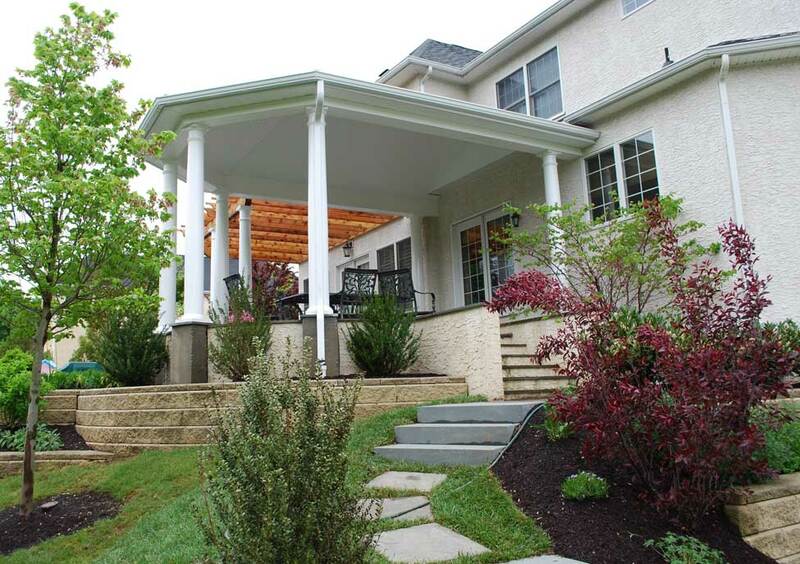 We recently completed a project in Silver Spring which encompasses everything you could ever ask for in an outdoor oasis. The homeowner works for a company that takes care of high-end hotel renovations, so he already had an eye for design. 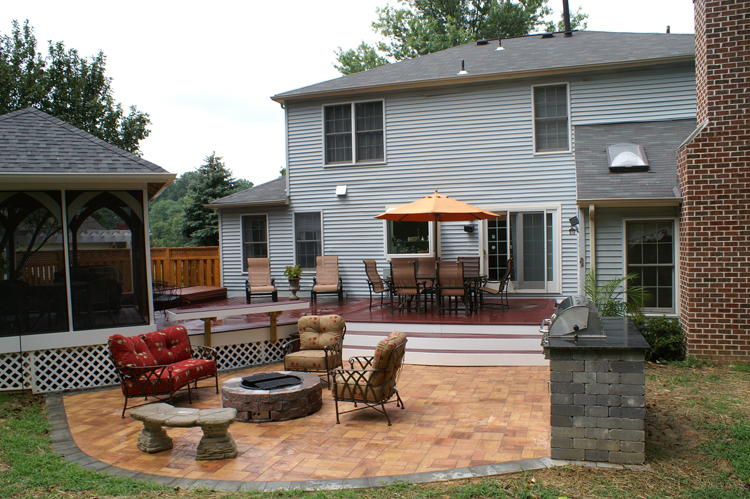 Archadeck of Maryland was able to create the outdoor oasis within this Maryland homeowners imagination into a reality, and now these homeowners have a place to relax and soak in the feeling of “no place like home” upon return of a long business trip. This outdoor space has it all, these homeowners don't have far to go for relaxation and entertaining. These homeowners really wanted a space the whole family could enjoy but also, with two teenage boys, they also wanted the capability to have privacy and separation within the design. The homeowners said the main uses they wanted to utilize were socializing, grilling, eating and reading. We were able to create a place for each activity and also create a space that could please a crowd or serve as a place of solitude and quiet built for two. This space is versatile in its layout and design. This outdoor space brings new meaning to the phrase ” a place for everything and everything in its place”. 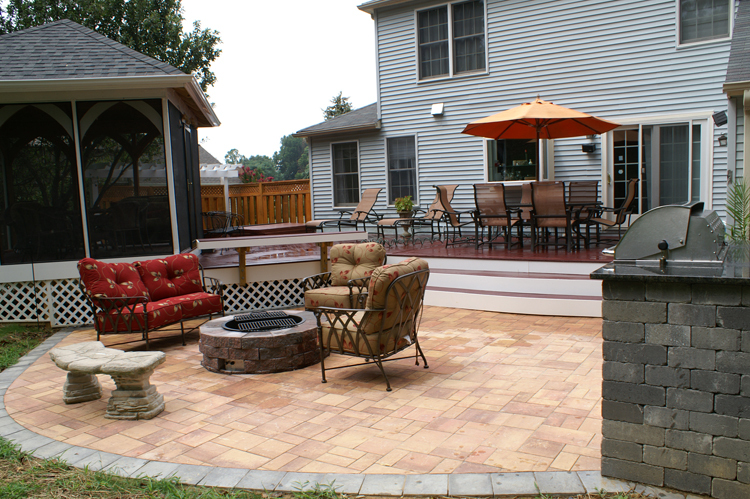 Another view of this stunning outdoor space by Archadeck of Maryland. 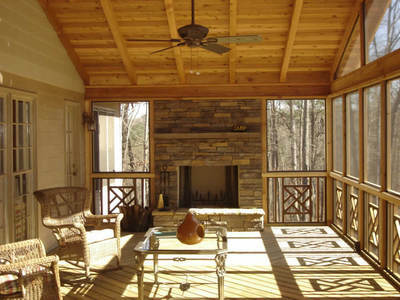 The space has a detached cabana style gazebo, a gorgeous paver patio, a grilling area, a deck that is large enough to accommodate two separate areas for dining as well as seating, a fire pit, a hot tub with deck surround and a privacy fence with a pergola-style decorative feature which adds character and uniqueness. 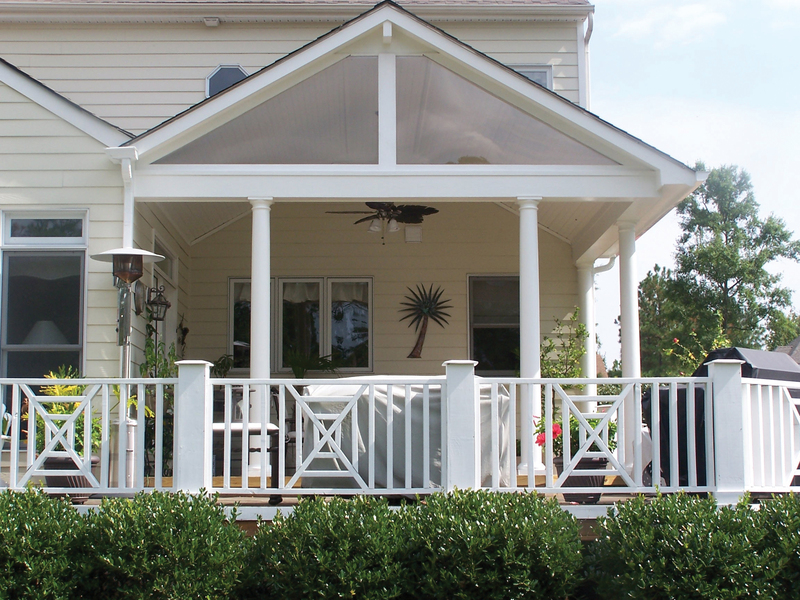 The detached cabana style gazebo is truly the heart of this versatile outdoor living space. 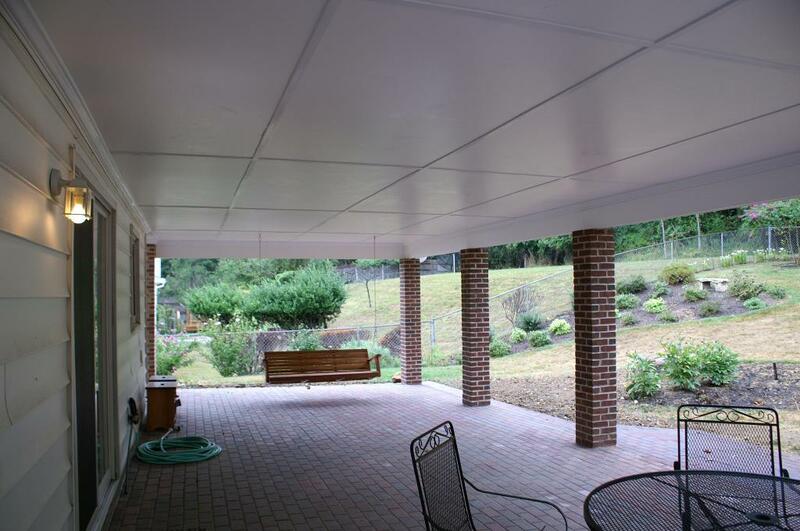 The gazebo boasts a spacious 12×12 area that can be used for seating, reading and also has protection from bothersome insects and the harsh rays of the sun with the addition of having the area screened in. 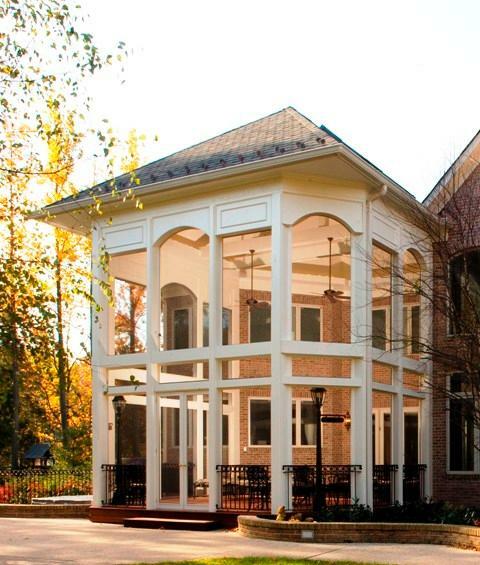 The detached gazebo is perfectly placed within the space for a bird’s eye view of everything going on around the outdoor space as well. 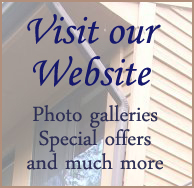 The privacy fence serves as much for visual appeal as it does for safety and seclusion. 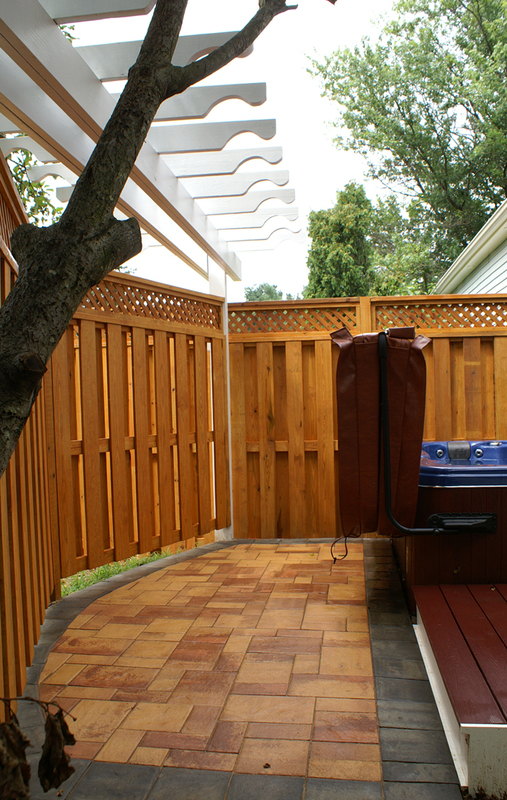 The hot tub’s deck surround creates a safe haven to enter and exit the hot tub, and the privacy fence with pergola style decorative features will add style and pizazz to an area that serves as a necessity to keep prying eyes away, and gives these homeowners peace of mind. The Deck is 20″ above grade and is large enough to serve as two living areas, there is ample room for seating as well as dining. 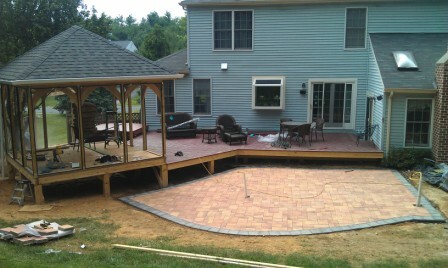 The deck steps down to a beautiful curved paver patio. The curvilinear shape is really popular for patios right now, and the homeowners wanted an overall shape to the structure that offered more visual interest and aesthetic appeal than a rectilinear shaped structure. The addition of the custom fire pit within the patio creates perfect design harmony within a space that creates a perfect spot to gather to take the chill off and maybe enjoy some roasted marshmallows or s’mores by the glow of the fire. Notice how beautifully each area and structure flows into one another. 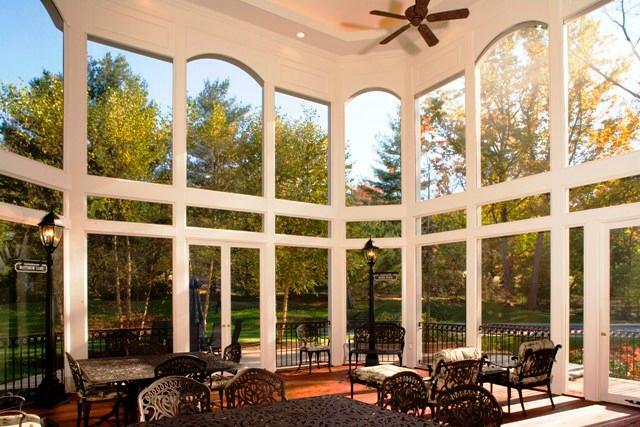 These homeowners are excited to make use of their new “outdoor oasis” with the cold evenings of September right around the corner. This outdoor space in its entirety is everything they could have hoped for and much more. Red is one of the most powerful of all the warm colors used in design and these homeowners in Silver Spring MD are in the midst of a wonderful transformation within their backyard by transforming their less than functional and unattractive hardscape into one that whispers relaxation along with the rustic hues of red they chose for this endeavor. These homeowners are busy professionals and have two teen-aged sons, so they wanted the backyard to promote relaxation and fun so their family could make the most out of the time they spend together. They decided upon a screened stand-alone gazebo, a patio with a seating area which encompasses a fire pit, a deck, a hot tub with loads privacy, and an outdoor grill/kitchen area. This construction is “in progress”, but once completed will be the perfect family hot spot or a great place to spend a “stay-cation”. 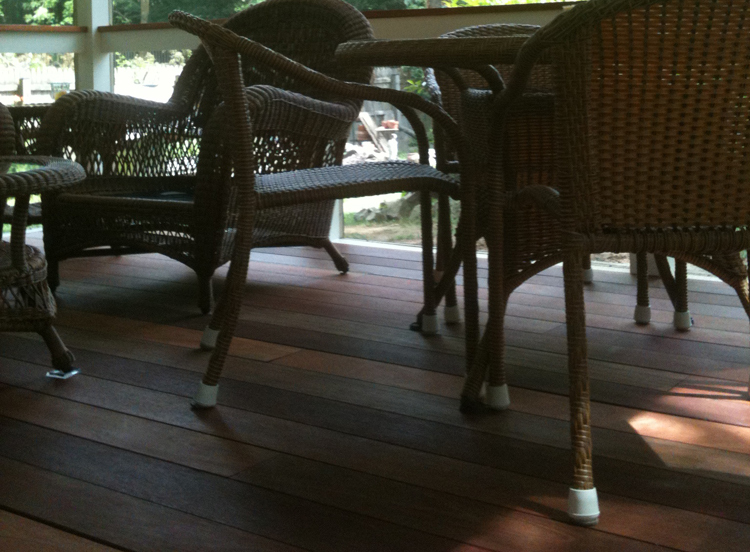 Each Archadeck of Maryland client gets a design rendering showing exactly what their project will look like. 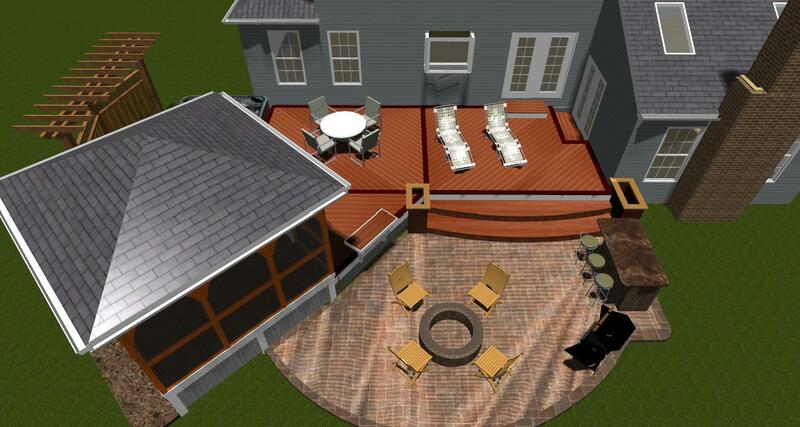 This is the plan for this Silver Spring backyard. 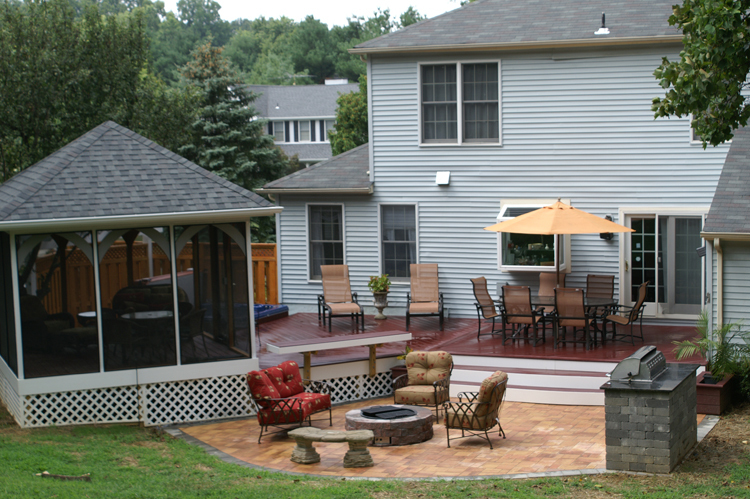 Archadeck of Maryland had a difficult challenge to overcome because the yard slopes as it descends into the back, and the deck inside corner portrays close proximity to the family room and kitchen, the family room is actually two steps down to the kitchen. It was tough to incorporate the deck and it’s traffic flow with these close quarters. The homeowners did not want to drop the deck down to the latter level because that would entail having three steps down. We were able to make it all fit together as you will see in the design rendering submitted for this structure. Still in progress... We are finishing up the gazebo, deck and patio. The screened, stand alone gazebo is going to be placed at a 45 degree angle with arches in between the screened panel opening for a stunning effect. The color palette chosen by these homeowners is stunning as well, with hues of brick-red, and red tones used alongside grays for a beautiful rustic feel. 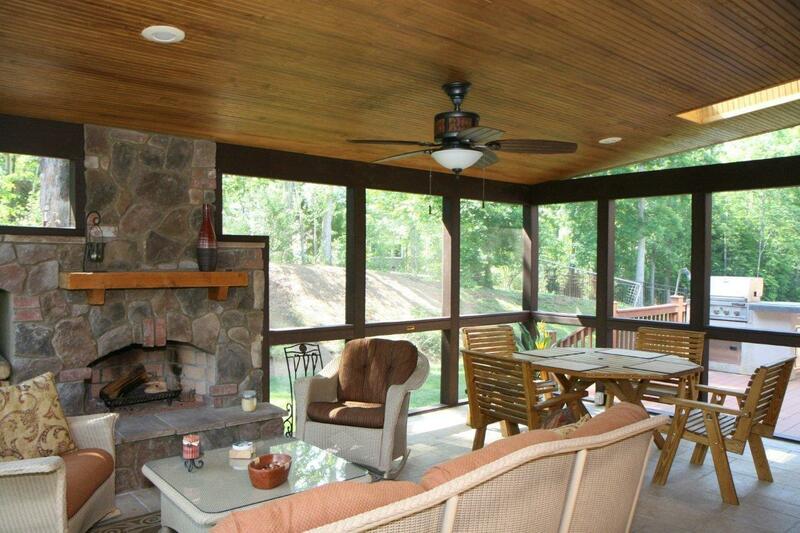 These Silver Spring, MD homeowners chose a Guardian Guardeck in a brick, red-toned color. 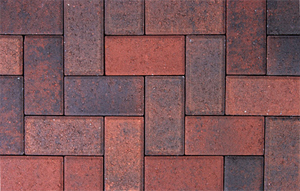 The paver color they chose is called, Canyon Blend, and it will blend in the red tones with the gray stone. The paver in made by Fendt, and is part of their Spectrum Collection. The fire pit is going to be finished with Onyx red, and the grill will be finished in Onyx natural. The fire pit is gas so we will be running a gas line to it. The homeowners had to get the meter updated to accommodate the fire pit running off the gas line from the house. 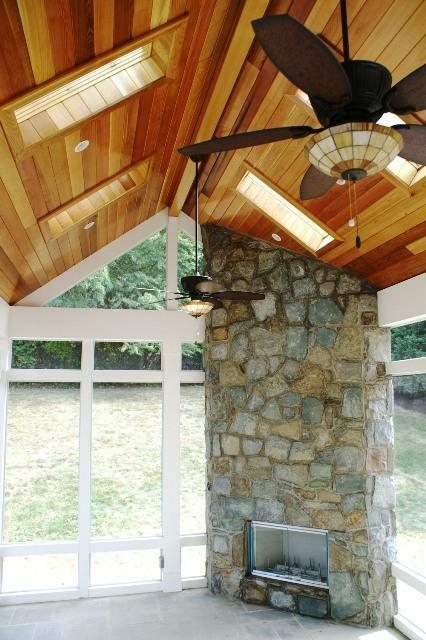 We are really excited to see the finished product for these Silver Spring, MD homeowners. Stay tuned for more pictures to come on this glorious project. 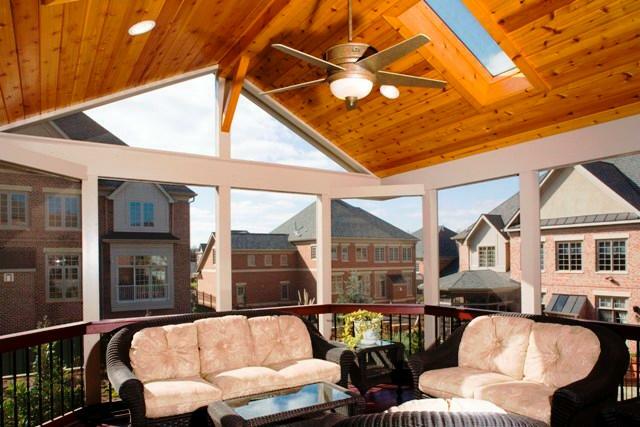 If you are thinking of a transformation in your own backyard, contact Archadeck of Maryland to find out more at (301) 926 – 3001 or email us at centralmaryland@archadeck.net and don’t forget to visit our photo galleries to see design ideas and pictures from other stunning outdoor structures. 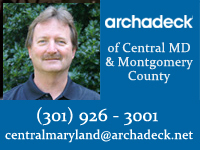 Take a look at our Archadeck of Central Maryland website.